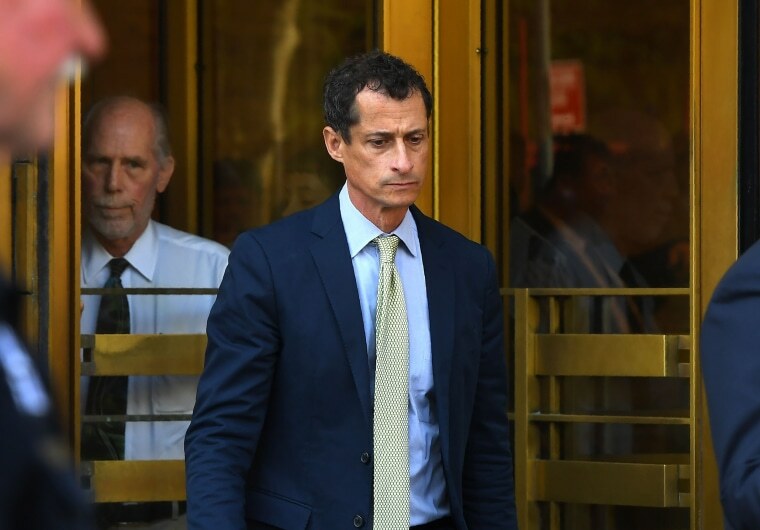 Former Congressman Anthony Weiner has begun his 21-month prison sentence for illicit online contact with a 15-year-old girl. A Bureau of Prisons spokesperson confirmed Monday that Weiner has reported to the Federal Medical Center Devens in Massachusetts. Weiner, a Democrat, is scheduled to serve a 21-month sentence for illicit online contact with a 15-year-old girl. The facility in Ayer, about 40 miles west of Boston, has over 1,000 inmates at the medical center and over 100 more at an adjacent minimum security satellite camp. Related: Anthony Weiner Sentenced to 21 Months in Prison. It Could Have Been Worse. Last year, a criminal probe into his sexting with a high school student intruded into Democrat Hillary Clinton's bid for the White House. Then-FBI Director James Comey announced in late October 2016 that he was reopening the probe of Clinton's use of a private computer server after emails between Clinton and Weiner's wife, Huma Abedin — formerly Clinton's closest aide — were found on Weiner's laptop computer.